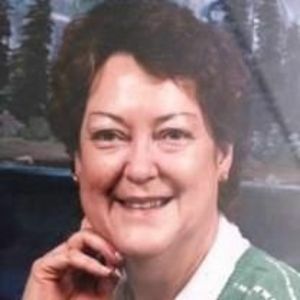 Rosalie Ellis, 81, of Macclesfield, passed away Monday. A graveside service will be conducted 2:00 p.m. Wednesday, September 27, 2017, in the Good News Advent Christian Church Cemetery, Holdens Cross Rd., Fountain, NC. The Rev. Alex Ellis and the Rev. Julius Whitley will officiate. The family will receive friends Wednesday, immediately following the graveside service, in the church Fellowship Hall. Rosalie was the beloved first child born to the late Herbert Hickman and Carrie Ellis Ellis. She was a member of Good News Advent Christian Church and was dearly loved and will be greatly missed by her family and friends. Surviving are her daughter, Lisa Womble Webb of Arizona; two grandchildren, Jessie and Jayson; one great-grandchild, Paisley; and two sisters, Glendy Ellis Gregory and husband, Preston, of Wilson, and Beth Ellis Pittman and husband, Steve, of Macclesfield. In addition to her parents, Rosalie was preceded in death by a son, Jay Ellis Womble, and a brother, Herbert H. Ellis Jr. Flowers are welcome and memorials may be directed to Good News Advent Christian Church, 7000 Holdens Cross Rd., Fountain, NC 27829. Funeral arrangements are under the direction of Thomas-Yelverton Funeral Home, Wilson, NC. Online condolences may be sent to www.thomasyelverton.com.